Today I’m excited to be interviewing Marie Campbell about her debut novel Baby. Welcome Marie please tell us what inspired you to create your novel? 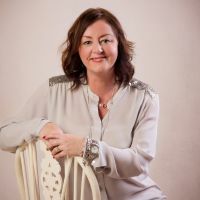 I always wanted to write a book, and after many years of writing short stories, journals, diaries or nothing at all, I decided, whilst on maternity leave, that I would use the time to develop my craft, and ultimately, I hoped, write a book. As for writing inspiration, my stories tend to have a dark side – I like to think ‘What if…’ and take it from there. In the case of my book Baby, I considered what would happen if someone believed they had an absolute right to have something, and what they would do to get it. I fit in writing around looking after my young son, and working as a freelance proofreader, so my ‘routine’ is pretty unstructured. Most of my creative writing is done at night, when my son is in bed. My partner works away from home, so I spend a lot of evenings at the kitchen table with the laptop. I always carry a notebook and pen with me, and note down thoughts and ideas whenever they come to me (I have to do this – my memory is terrible…). What surprised you most while writing your novel? Apart from how completely obsessed with it I became, it was also a surprise to discover how long the process – from pen (or keyboard!) to publication – actually takes. I thought I’d ‘finished’ my book ages ago, but finding an agent, doing rewrites, finding a publisher and doing final edits has taken a lot longer than I anticipated. And all of that has only been possible because I was lucky enough to find an agent in the first place. Did you have to do a lot of research while writing your novel? I did – I found myself googling all manner of things in the name of research! I’m lucky to know some medical professionals who were happy to answer my (often-bizarre) questions, and my partner was a wealth of knowledge on locations and layout of Edinburgh, where my book is set. Did you have a favourite place you liked to write, while you were creating your novel? I’m a full-time mum and part-time proofreader, so most of my writing is done around those responsibilities, on an evening at home. I do like to escape to a café with a notebook and pen if time allows, though. What part of writing your novel did you most enjoy? I enjoy creating characters – thinking about their lives, their characteristics, what they think, how they behave. Basically, getting to know them. I also enjoy coming to the end of a first draft, then going back to fill in the gaps and polish the story. Are you a planner or a discovery writer? A bit of both. I like to makes lists of notes, thoughts and details, but I also like to just sit at the keyboard and seeing what happens. There are so many – and I always like discovering new ones. My favourites, though, are Kate Atkinson, Nicci French, Helen Dunmore, Erin Kelly and Lucie Whitehouse. I also have a lifelong passion for Stephen King and will read anything of his, past and present. What was the best advice you’ve ever had when writing your novels? To write every day, and to practice and practice. And to make every word count. I’m working on another book. Like Baby this is also a thriller, but with a theme of revenge. I’m no expert, but I would say don’t give up. The process can be challenging, and there’s so much more to writing a book than getting the first draft down on paper. But it is such a rewarding thing to do, and so worth it. On a practical level, joining a writing group and discussing work with like-minded people can be a great source of support. 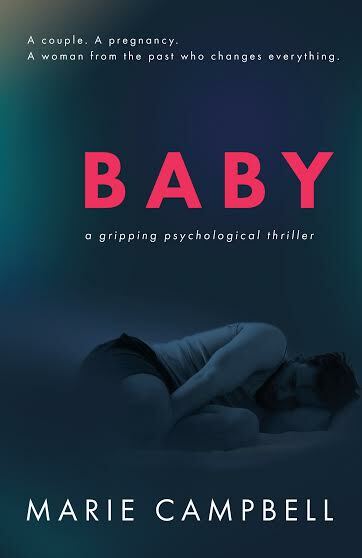 When Michael Stanton goes to work one day and doesn’t come back, everyone – friends, family, police – thinks his pregnant girlfriend Jill should accept he’s left her. After all, he’s done it before. In a blurred maze of captivity, sexual tension and dark desire, Michael battles with his feelings. Does he really want his normal life, or could there be a future with the woman who terrifies, controls and fascinates him? ← Wonderful People And My Lovely Nan. Great interview – Congratulations on your first novel! I agree it was a great interview.